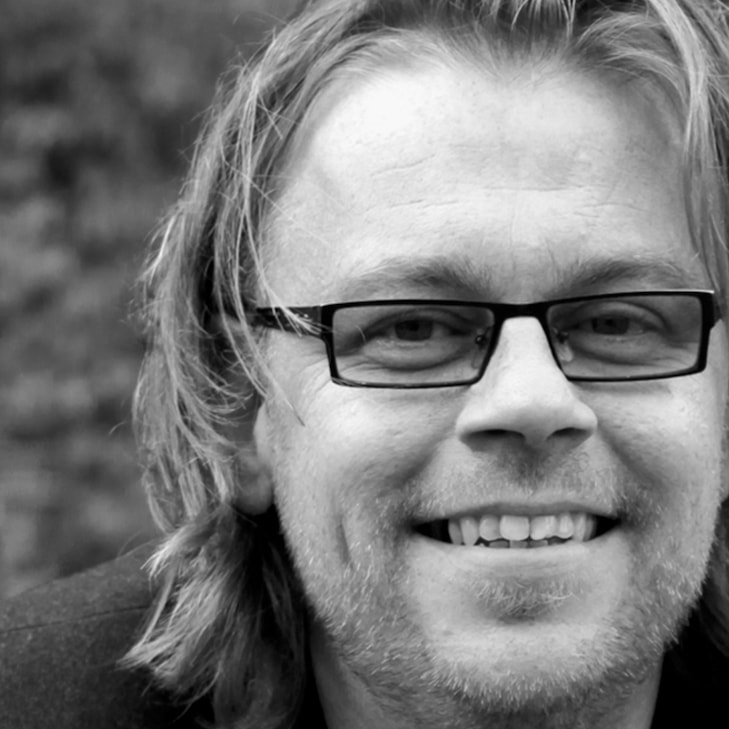 His name betrays him: the Dutch designer of Bosnian origin. 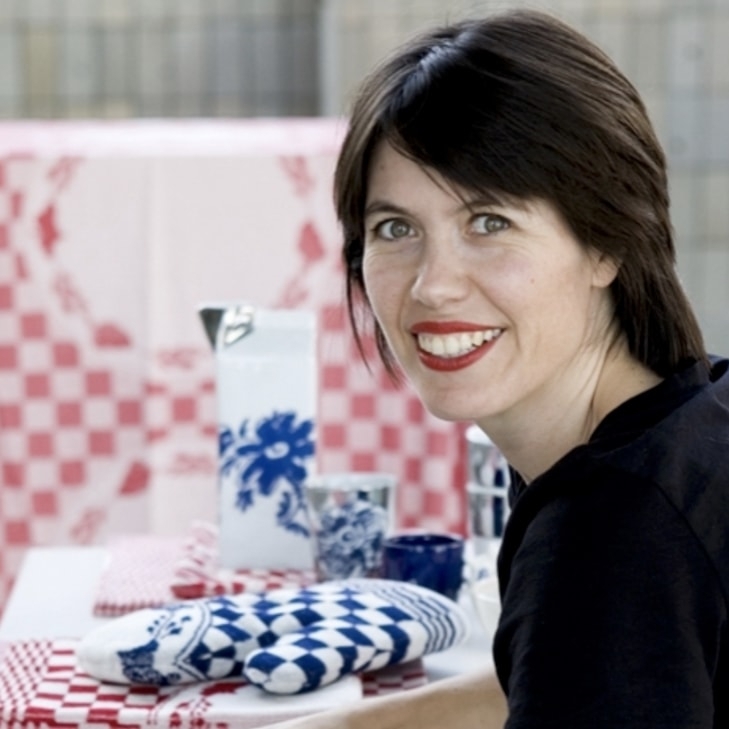 Young at heart, Jasmin designs interior accessories that we believe will become true collector's items in the future. Get your own superhero home with My Superhero vase designed by Jasmin Djerzic. This remarkably oblique vase gives your interior a cheerful and playful accent. 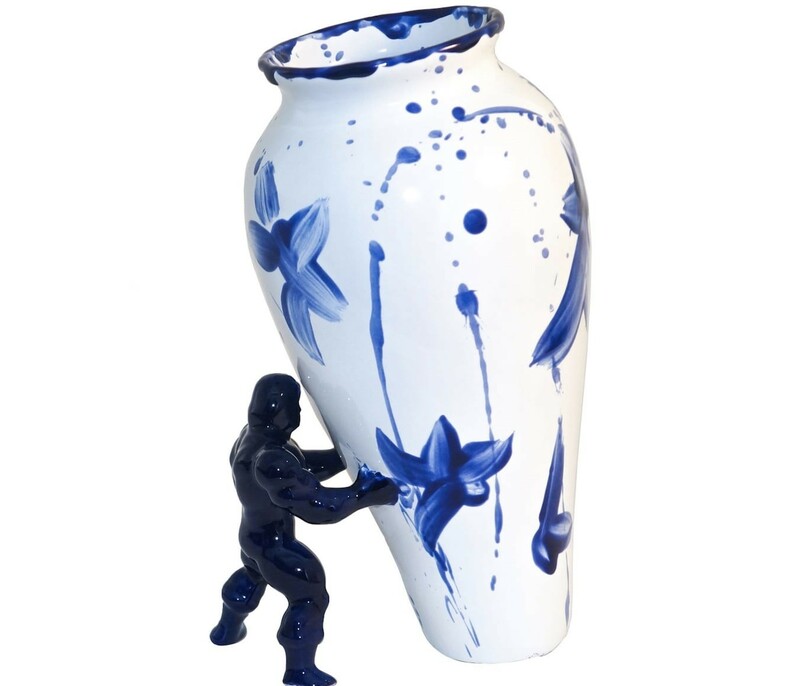 The vase is 27,5 cm tall, is made of ceramic and is decorated in a contemporary Delft blue style. 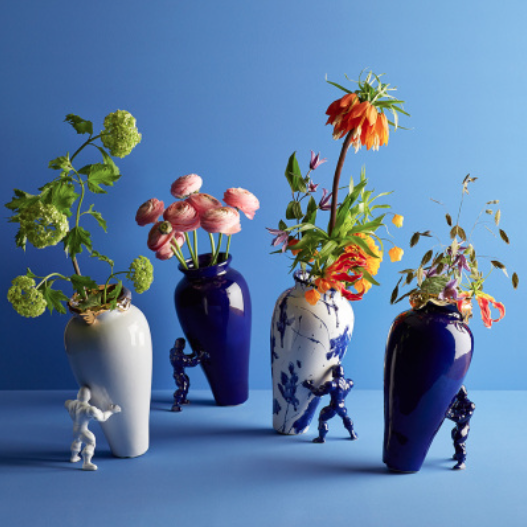 The strong blue Superhero prevents the vase from falling over. Where are you going to put this vase? Bring in your own super hero with the My Superhero vase by Jasmin Djerzic. This oblique vase stands out and gives your home a playful accent. 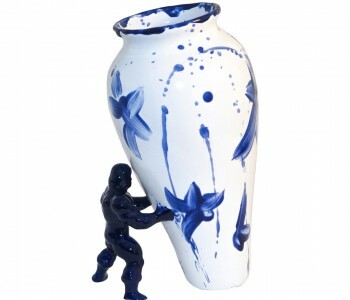 The vase is handmade of ceramic with a contemporary Delft blue decoration of abstract leaves and twigs. The strong Superhero supports the vase and prevents the vase from falling over. With this vase, you create a new happy place in your interior. That Jasmin Djerzic is a creative mind, is shown by his Surprising Friends collection. A collection of surprising lamps, vases and these Long Legs candlesticks. With his designs, Jasmin Djerzic wants to bring back playfulness in the lives of adults. Born and raised in Sarajevo, Bosnia he fled to The Netherlands in 1992. 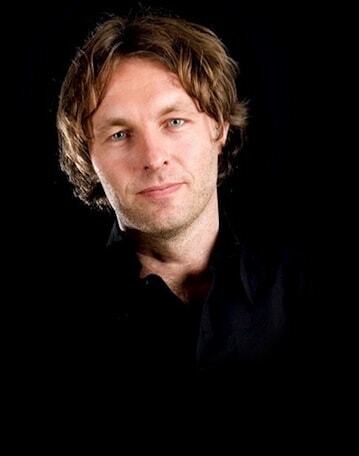 There he completed his studies at the Art Academy in Breda in 2011, which was also the starting point of Jasmin Djerzic Designs, located in Breda. In his Studio Jasmin works especially with ceramics, plastics and color. With his designs, Jasmin Djerzic wants to bring back playfulness in the lives of adults.. Toys are therefore one of his most important sources of inspiration. The home accessories by his hand are all special and surprising combinations of playful experience and functionality.